One of the most colorful characters to come from Marvel has to be Deadpool. The Merc with a Mouth has some of the most interesting and funny adventures of any character in the Marvel U. And now he’s going up against those agents from S.H.I.E.L.D. It’s been a while since S.H.I.E.L.D. had Deadpool re-kill the reanimated Presidents of the United States – and Agent Gorman of S.H.I.E.L.D. stiffed him on his well-earned pay! After all, he doesn’t do this for free, y’know? Now it’s time to collect what he’s owed – even if he’s gotta take down all of S.H.I.E.L.D. to get paid! But with S.H.I.E.L.D. Agent Preston’s consciousness still stuck in his head – how’s she going to feel about all this destruction? 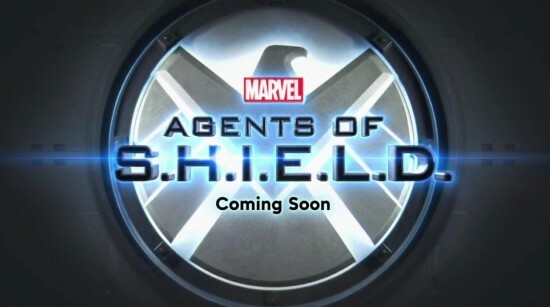 And is all this S.H.I.E.L.D. stuff a shameless cash-in because of the TV show? Ask guest-star AGENT COULSON! Check out the preview pages after the break. 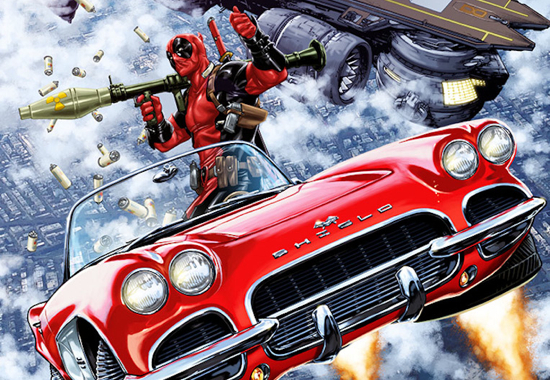 Look for Deadpool #21 to hit store shelves on December 18th. The Avengers is one of the biggest films of all time. The culmination of five films that have been leading to this summer’s blockbuster extravaganza. So the level of scrutiny levied onto this film is enormous, and as a result even the release of two new pictures is newsworthy. One thing worth noting about these pictures is how good Captain America looks. Up to this point there has been some consternation about how the modernization of the Cap outfit was going to work. However, Chris Evans strikes a great, iconic silhouette in full costume, helmet and all. The other picture is a bit on the boring side, but it is great to see Agent Coulson mingling with the God of Thunder. Clark Gregg’s character has been a highlight in his brief appearances up to this point, and one of the things we are most looking forward to is a beefier role for him in the film. The Avengers assemble this May in theaters worldwide. You can check out the new pictures after the jump. Those who are glued to what Marvel Studios is doing with their story leading up to next year’s Avengers film know that Agent Coulson (played by Clark Gregg) is the glue that ties all of the films together. The S.H.I.E.L.D. agent is the man that find’s Thor’s hammer, babysits Tony Stark, and helps wake up Captain America is the one who is able to hold our hands as we get ready for things to get heavy in Avengers next year. Attached the the Blu-Ray and DVD release of Thor next week, Marvel is taking Coulson’s “glue” to another level with a series of shorts titled Marvel One-Shots in which Coulson literally ties the films together in short and comical scenes. In the most recent short, titled A Funny Thing Happened on the way to Thor’s Hammer, things get a bit violent for Coulson as he treks through the desert of New Mexico. Take a look at the teaser for the short after the jump, and catch the full thing on the Thor Blu-Ray and DVD, out next Tuesday. Now that this year’s superhero season is safely in our rear view mirrors, it’s time to look forward…to next year’s superhero flicks! One of the big ones is obviously going to be The Avengers which hits mid year. With that, Marvel is getting us ready for the epic flick with an awesome series of shorts to connect films like Iron Man 2, Thor, The Incredible Hulk, and Captain America: The First Avenger to the upcoming film about the superteam. We heard a while back about these shorts, titled Marvel One-Shots, in which S.H.I.E.L.D. agent Coulson (played by Clark Gregg) helps tie all of the films in together. Now that Marvel’s first of two films from this year, Thor, is hitting DVD and Blu-Ray on September 13th, we’re getting a first taste of the release’s One-Shot in which Coulson has to enlist “The Consultant” in order to get Gener “Thunderbolt” Ross to help out the Avengers. Now we’re getting the tie-ins that we’ve been making up in our heads since Marvel’s strategy to tie all of their films together began, and you get a first glimpse right now! Check out the clip from the short after the jump, and catch the full mini-movie on the DVD and Blu-Ray release of Thor, in stores on September 13th.